Steel City Displays, a full service custom exhibit house located in Malvern, PA formerly in Phoenixville, PA, is pleased to announce that their valued client Saint-Gobain’s Creative Services Group, won a prestigious 2011 Graphic Design USA award. 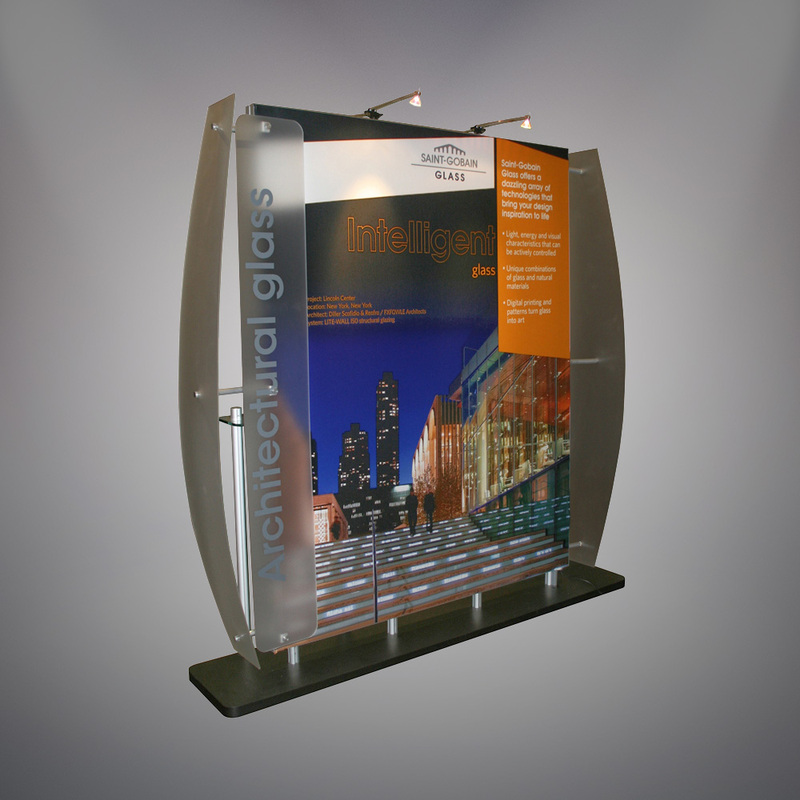 Creative Services was honored for their design of the Saint-Gobain Corporate Communications display kiosks that were featured at the 2011 AIA (American Institute of Architects) Show. Steel City Displays designed and fabricated the custom built exhibits. featured their award-winning graphic design. Added Kristin Dankanich, Saint-Gobain Creative Services’ Creative Director, Design, “This honor is a result of the fine collaboration between our creative team and Saint-Gobain Corporate Communications for the AIA Show. The American Graphic Design USA Awards is a four-decade-old flagship competition that honors outstanding new work of all kinds: print, packaging, point-of-purchase, Internet, interactive and motion graphics. It is open to everyone in the graphic arts community – graphic design firms, advertising agencies, in- house corporate and institutional designers, publishers and other media. Each year, roughly 1,000 pieces representing all media appear in the printed Design Annual and online at http://www.gdusa.com/winnersgallery2.php. Saint-Gobain, the world’s largest building materials company, has its North American headquarters in Valley Forge, Pennsylvania. As the world leader in sustainable habitat, Saint-Gobain is committed to inventing solutions to help professionals and communities around the world build and renovate comfortable, healthy, economical and energy-efficient buildings. The company has more than 265 locations in North America and approximately 19,000 employees. In the United States and Canada, Saint-Gobain reported sales of approximately $7.3 billion in 2010. Saint-Gobain’s family of companies in North America includes CertainTeed Corporation, as well as Saint-Gobain Abrasives, Saint-Gobain ADFORS (previously known as Saint-Gobain Technical Fabrics), Vetrotech Saint-Gobain North America, Saint-Gobain Glass, Saint-Gobain Solar, Saint-Gobain Performance Plastics and more. Saint-Gobain (SGO:PAR), headquartered in Paris, is the world leader in habitat markets – providing innovative solutions to meet today’s challenges of growth, energy efficiency and environmental protection. With 2010 sales of $53.2 billion, Saint-Gobain operates in 64 countries and nearly 190,000 employees. For more information about Saint-Gobain, please visit www.saint-gobain.com.